At the end of last week PolitiFact announced it had launched a partnership with the Poynter Institute to create the PolitiFact Lab: “an initiative that will oversee joint projects and educational programmes on fact-checking”. According to a statement from PolitiFact the lab will promote best practice and carry out fact-checking research. The partnership will be modelled after the success of joint programs that Poynter and PolitiFact created in 2010 for PolitiFact Florida, a unique partnership of the Times, the Miami Herald and other Florida newspapers. It was underwritten by grants from the John S. and James L. Knight Foundation, the Collins Center for Public Policy and the Craigslist Charitable Fund. Read more on how PolitiFact and the Poynter Institute have launched a partnership to create the PolitiFact Lab. This entry was posted in Editors' pick and tagged accountability, fact-checking, PolitiFact, PolitiFact lab, poynter, research lab on October 31, 2011 by Rachel Bartlett. There are a three of posts worth reading if you want to work out which features unveiled in yesterday’s Apple announcements are relevant to journalists and the industry. Poynter has a five things journalists need to know about the new iPhone 4S and iOS 5. The Next Web last night (Tuesday, October 4) published details of Apple’s US publisher partners for NewsStand. The New York Times, GQ, Wired, National Geographic are all on board, according to this post. This entry was posted in Editors' pick, Mobile and tagged apple, iPhone, Jeff Sonderman, poynter, Safari, The Next Web on October 5, 2011 by Sarah Marshall. Newspapers interested in how to make use of QR codes (quick reader codes) could take a look at a post on Poynter which details the way six US newspapers have been using QR codes to drive traffic to their websites. By assessing the news organisations’ different approaches, Poynter’s post has some helpful advice for anyone trying to make QR codes, which allow users to scan a printed code with their smartphone to take them to a specific web page, work for them. One advantage of a QR code as opposed to a printed link is the ability to monitor the traffic from the code. Be sure to provide information on how to use the codes. [Danny Sanchez, online content manager at the Ft. Lauderdale Sun-Sentinel] suggests putting production rules in place for the codes, making them no smaller than ¾” x ¾” and keeping them off the fold, “which makes it maddeningly difficult to scan”. Editors at the Sun-Sentinel also provide a standard URL redirect next to the code, for those who can’t or won’t scan it. Creative examples in the post include that of the Washington Post, which has been putting QR codes on “could-be-viral stories” to let readers share them on their Facebook page or the Palm Beach Post, which used a QR code to link to an interactive quiz that let people take five sample questions from the Florida Comprehensive Assessment Test given to eighth grade students. This entry was posted in Handy tools and technology, Mobile, Traffic and tagged Cory Haik, Danny Sanchez, poynter, QR Code, the Sun-Sentinel, The Washington Post on September 1, 2011 by Sarah Marshall. 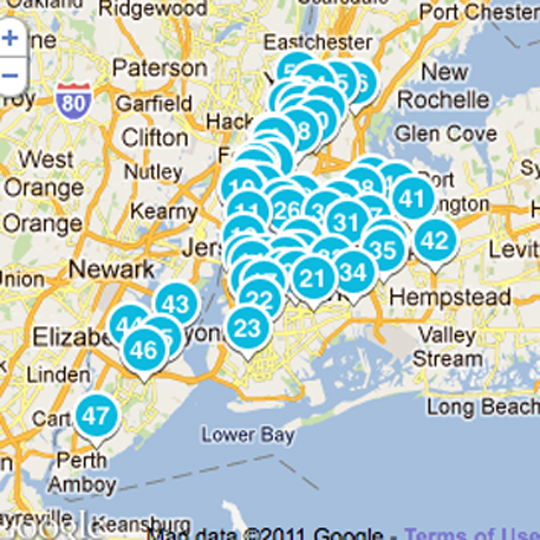 As Hurricane Irene lashed the east coast of the US at the weekend, the Wall Street Journal used Foursquare’s recently-launched tip lists feature to provide details of the locations of New York City evacuation centres. The tip lists were launched on 15 August and were used by the WSJ for a breaking news story less than a fortnight later. Users of Foursquare, the mobile phone app and social network which has 10 million members worldwide, can check-in and share their location with their friends and contacts by using the WSJ’s NYC Hurricane Evacuation Centers Foursquare list. 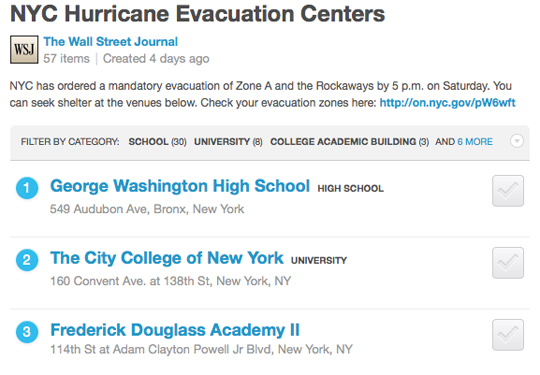 A total of 130 people follow the evacuation centres on Foursquare, a low number when compared to other networks (the New York Times @NYTLive Twitter account accrued 22,000 followers in three days when reporting on the hurricane), but the WSJ’s innovative use of lists is another example how news publishers can interact with readers. This is a page that the Wall Street Journal can administer and actually people can follow the list, which is a great way for them to interact with their current fan base on Foursquare and also as resource for anyone else for a quick way to develop something that was extemely helful in a potentially very damaging storm. Friedman went on to explain another way in which the WSJ has used the platform. It’s a way for them to build a following on a new network, which is Foursquare, and for them to get really timely and relevant information attached to a place. In the past they’ve use [their Foursquare page] to attach breaking news to a place, when something is going on in Times Square, for example. They’ve also used it in a way which is very interesting, for past historial events to let someone know “hey, I’m at the Brooklyn Bridge”, here’s what happened at this time on this date many, many years ago. So it’s a way of bringing the old Journal information to the forefront as well as a way bringing new information to someone in a breaking way. Mashable has more information on user-generated tip lists allowing users to create crowdsourced lists. This entry was posted in Handy tools and technology, Mobile and tagged Eric Friedman, foursquare, Hurricane Irene, New York City, poynter, The Wall Street Journal on August 31, 2011 by Sarah Marshall. Poynter has a handy eight-step guide for anyone wanting to test out Newsbeat, a recently launched real-time analytics tool specifically for news sites. It comes with a hefty monthly price tag but there is a free trial on offer. For example, managing editors can use it to see analytics for an entire site, section editors can personalise it to see analytics for the sections they edit, and reporters can use it to see analytics for their own stories. You can navigate through the tool to see smaller or bigger pictures of what’s going on within the site. It also sends alerts when something unusual happens. Newsbeat by default will send email alerts when traffic spikes above average, a page goes down or something else out of the ordinary happens. But you can also set-up customized email or SMS (i.e. text) alerts that let you know whether people are reading or commenting on an article more than usual, or if a page is having problems loading. The full Poynter ‘how to’ guide is at this link. This entry was posted in Editors' pick, Traffic and tagged analytics, Newsbeat, poynter on August 22, 2011 by Sarah Marshall. 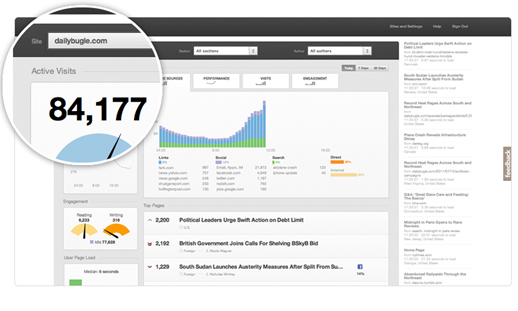 Newsbeat, a real-time analytics tool for newsrooms, has launched in public beta. The team behind analytics tool Chartbeat has “spent the last six months working with publishers from the Wall Street Journal and Forbes, to Fast Company and Time, to create a service that thinks the same way editors, producers, and content creators do – and gives them the tools they need to build a new kind of newsroom”, according to a post on Chartbeat’s blog. Newsbeat promises great things for newsrooms. One of the key features of newsbeat is the ability to create personalised dashboards for every person on your team. The sports editor no longer has to wade through data on politics and world news to find the data that’s important to her. She can log in and immediately see her traffic, her stories and her referrers. But it comes with a high price tag of $199, $499 or $899 a month. There is a free 30 day trial on offer if you want to test it out. You will have to submit your details to the team and wait for the team to respond. Here’s the Newsbeat video tour. 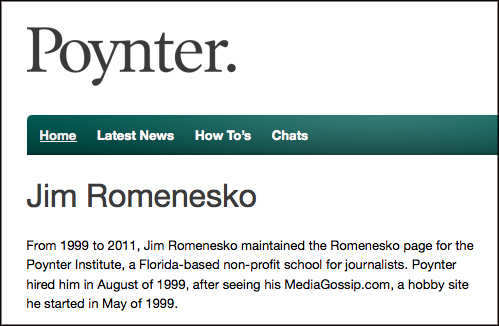 There’s also a helpful post on Poynter which picks out some of the most promising features. This entry was posted in Handy tools and technology, Traffic and tagged analytics, newsbeat analytics, poynter on July 29, 2011 by Sarah Marshall. Poynter has been looking at the results of a large survey commissioned by the New York Times and has come up with five reasons why people share news and six ways to encourage more readers to do so. One of the key lessons is making it easy for readers to share news by email. The survey collected the views of 2,500 sharers, not all of them tweeting, liking, recommending and emailing links from the NY Times. Poynter’s Jeff Sonderman has analysed the results and made suggestions as to what news organisations can learn from the survey. Selectives, who are older and more traditional and tend to share on email. 1. Think of your users’ relationships. Create content that can help someone strengthen a personal or professional relationship. Think useful, fun, humorous, controversial, actionable. 2. Keep it simple. 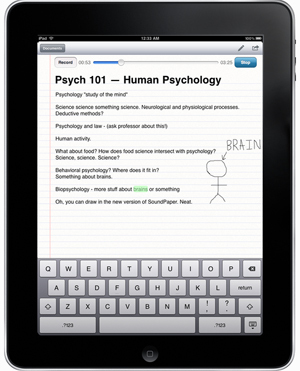 Many of your readers are sharing to get a response or to show how smart they are. Those people won’t share something they’re not sure they understand, or that their friends may not understand. 3. Reconsider your Facebook button. This research may suggest that Facebook’s ‘recommend’ button is subconsciously more appealing than its ‘like’ button, even though they do the same thing. Recommending is a social activity targeting your friends, while liking is just an individual expression. 4. Share on the right networks. When you share your own content, choose networks that make sense. If your story appeals to hipsters, use Twitter. For careerists be sure to use LinkedIn. To target connectors, use your Facebook page. 5. Remember email. It is still the number one sharing method, the survey found. Though many social networks have blossomed, none has surpassed the simplicity and universal reach of email. 6. Customise sharing options. Should different types of stories emphasise different sharing options to the reader? For example, your business template may feature LinkedIn and email share buttons, while your features template pushes Facebook sharing. This entry was posted in Editors' pick, Social media and blogging, Traffic and tagged New York Times, online share, poynter on July 20, 2011 by Sarah Marshall.